John Taylor (1808-1887). 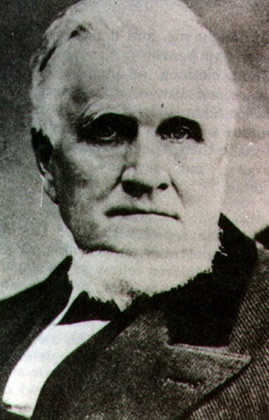 The third president of The Church of Jesus Christ of Latter-day Saints. Taylor was in the upper room at the Carthage Jail when Joseph Smith was shot. He was a strong supporter of polygamy and had at least seven wives. He claimed to have had a revelation on polygamy the year before he died. He is buried at the Salt Lake City cemetery.